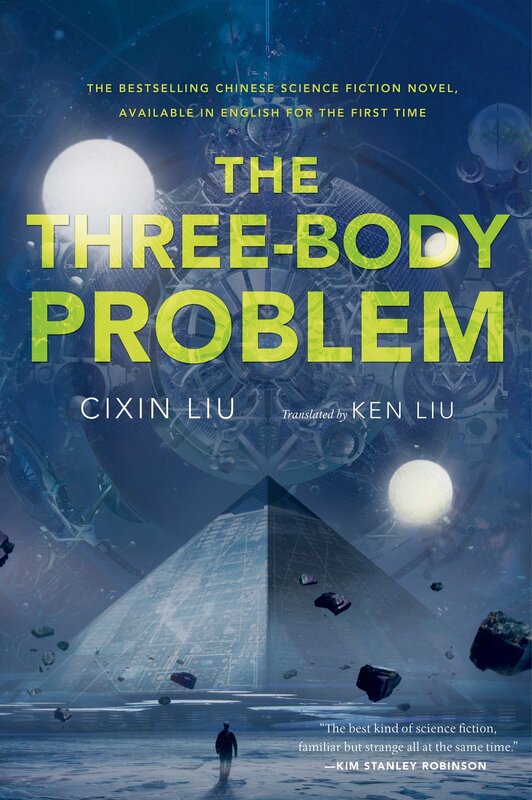 The Three-Body Problem is, I believe, the first large translated work from Chinese that I’ve read. The majority of books that I read were written in English, then translated into other languages as necessary, so reading the reverse was a refreshing experience. As this is a translated work, with the translator playing a prominent role, including a cover credit, I feel that I need to break my review into two parts—the translation, and the story itself. And so I start my review of the translation by talking about the story. The story follows Chinese culture through various time periods, from half a century in the past up through the present day. The style of writing differs based on the time period, and, at least to me, so did the tone. I am not entirely sure if the tone was in the original this strongly, and was simply well translated, or if that was added during the translation to enhance the effect. Either way, it really works. The culture also comes through strongly in the translation. Especially in the first part, which is largely based on historical events, the translator, Ken Liu, included footnotes explaining some of the events and names to a western audience. These were incredibly helpful, and, because they came during slower parts of the book, didn’t break the flow for me. It made it apparent that I was reading a translated work, and I’m fine with that. About the work itself. As I mentioned above, the story follows several time periods, and this was perhaps the most jarring thing about it. It gives several chapters in one time period, just enough to get to know some characters, begins to build into something that looks interesting, then jumps to the next time-period and resets with new characters and so on. It can lead to a bit of a whiplash feeling, and was probably my least favorite part of the novel. Unfortunately, this also kept the novel from gaining momentum for me. Every time I thought something big was about to happen, we changed scenery, and my interest dipped. I honestly was bored enough with it halfway through that, had it not been a Hugo nominee, I might have put it down to come back to at a later time. But I’m glad I kept reading. Once we got to the main timeline of the story, things really started happening, and the plot got a lot more interesting. There are a lot of really cool science aspects to this story, and the author deals with them quite deftly. I thought the science and the plot were woven together quite well—this is the kind of book that puts the science in science fiction. The ending of the book was huge, as well, even though it felt like a large amount of set-up for the next book. It fulfilled a lot of the promises made in the earlier sections of the book, and, at least in part, justified their existence. In summary, The Three-Body Problem has a slow and jerky start that nearly threw me off, but I’m glad I stuck with it, because the ending was worth it. The translation is far more than adequate, and I’m glad this book was so well done for English-speaking audiences. It wasn’t my favorite book on the Hugo list this year, but I see its merits, and I have no problem with it winning the award. I give it a high 3 of 5 stars, and I have hopes that the next two books in the trilogy, without the need for the build-up at the beginning, are even better.